Community has survived bad ratings, and a lost season without Dan Harmon among other issues including upset stars and time changes. As Community battles for renewal at NBC, TV Guide is reporting that whether it gets renewed or not Community may find a way to complete its mantra of "Six Seasons and a Movie". Harmon returned after a year off from the show thanks to a very public spat with one of the shows stars, Chevy Chase. Now that Dan Harmon has returned, Sony Television, which owns the show, will push to have it either renewed at NBC for the popular 6th season or move it to be produced digitally at a place like Hulu. What TV Guide says is that discussions for a Community film are in very early stages but if the 6th season does happen the movie is a definite possibility. It started out as a joke during an episode in the shows 2nd season and has remained a mantra with the fan base since. 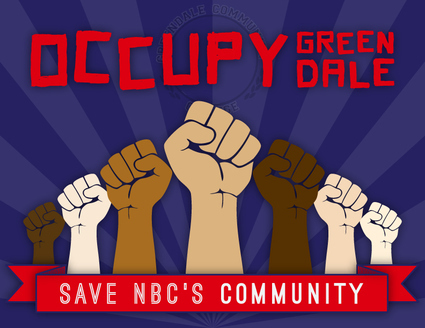 Community has been in flux at NBC almost every season in the past three years, with delayed starts and last minute renewals, struggling in the ratings against CBS hit The Big Bang Theory and has seen time changes and day changes. Somehow the show has persevered and at this rate the miracle sixth season is within reach and with that the movie every Community fan has dreamed of. I am a big fan of this show, for many reasons that include witty banter, a plethora of pop culture references, and some really interesting characters. I know more than a few Community super fans that carry the #SixSeasonsAndAMovie mantra with them and I'm pretty sure at least one of them will have it on his tomb stone so I think if this movie happens it will happen for the fans. Whether it happens at NBC or Hulu is uncertain but since this is a movie blog let’s focus on the movie for a moment. A full length feature film with this shows writers and Dan Harmon at the wheel could be the perfect recipe for giving the fans exactly what they want. We have proof that "if you build it they will come" and for a show that plays to its fans, a movie is not an unreasonable task. The option for Sony to give it a small budget and push it through or force Harmon and Company to place its attention on Kickstarter would probably work as well. If I were to put money on it, I think someone will want Community on either a network, Hulu, or Netflix next year and since Sony is pushing hard for it to find a home I can’t imagine they would mind putting $5 million on a film. I think it'll happen but only because this show just won’t die and seems to have the right people behind it. Become the right people and watch Community!